Burn injuries are most often caused by coming into contact with fire but can also be caused by chemicals (such as acids) that can penetrate the skin, hot liquids (scalding), heated metals (such as a stove top), or electricity. Burn injuries are most common in children younger than 5 years and in people aged 65 years and older. 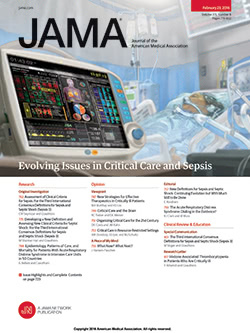 The August 13, 2003, issue of JAMA includes an article about treating burn injuries. Burns are categorized according to the depth of the burn on the skin, which is made up of multiple layers. Normal skin functions as a barrier that keeps toxins and irritants out of the body and moisture in. First-degree burns—affect only the epidermis (the outermost layer of the skin). Mild sunburn, with reddening of the skin but no blistering, is a good example of a first-degree burn. These burns can usually be treated with cool water and lotions to help soothe the skin. Second-degree burns—penetrate the second layer of the skin known as the dermis. These burns redden the skin and produce blisters and can be very painful. Second-degree burns may require medical attention. Third-degree burns—cause extensive damage to the skin including the subcutaneous layer located beneath the dermis. The skin may look charred or white. Fourth-degree burns—involve underlying fat, muscle, tendons, or bones as well as full thickness of the skin. Medical attention is required immediately for proper treatment of third- and fourth-degree burns. Treatment of severe burns may involve skin grafting, where healthy skin is removed from one part of the body and placed over the burned part. Physical therapy to prevent stiffening of joints due to excessive scar tissue formation may also be needed. Make sure your home has at least one smoke detector on every floor of the house, and check the batteries at least twice a year. Don't use space heaters near combustible materials like sheets, newspapers, or drapes, and avoid using extension cords. Store hazardous materials in safe containers away from children. Roll up long loose sleeves while cooking. Turn all pot handles in on the stove. Make sure bath, sink, and shower water is not too hot before using it. Have an escape plan in case there is a fire in your house, and go over it with the entire family. To find this and other JAMA Patient Pages, go to the Patient Page link on JAMA 's Web site at http://www.jama.com. A Patient Page on children's burn injuries and prevention was published in the January 5, 2000, issue. The JAMA Patient Page is a public service of JAMA . The information and recommendations appearing on this page are appropriate in most instances, but they are not a substitute for medical diagnosis. For specific information concerning your personal medical condition, JAMA suggests that you consult your physician. This page may be photocopied noncommercially by physicians and other health care professionals to share with patients. Any other print or online reproduction is subject to AMA approval. To purchase bulk reprints, call 718/946-7424.